2018 spring outfit ideas . With arrival of spring its time try some juicy outfits. 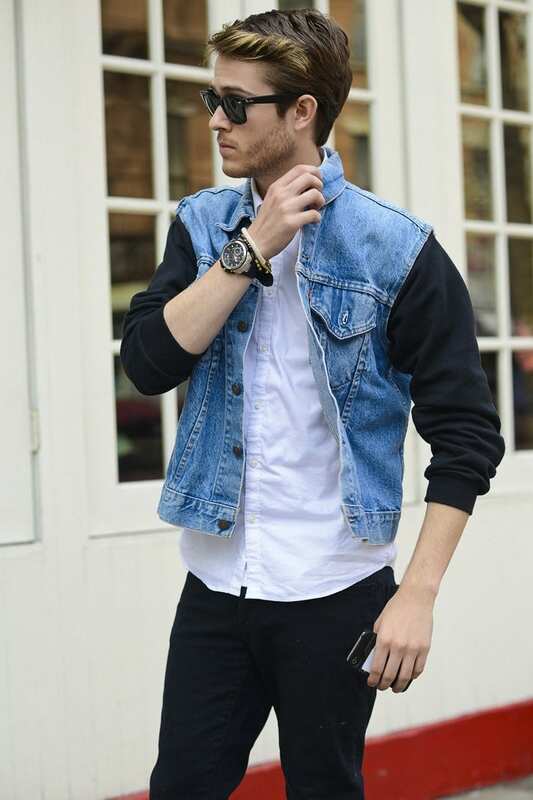 Check out this collection of amazing spring outfit ideas for men. These are the latest fashion trends for men.See how these stylish looking boys have paired their outfits for spring season to get a handsome look. From jumpsuits to sneakers to neckerchiefs to stripes, this is all you need to know about spring 2015 Men’s outerwear. The old classic stripes have been meaning to come back to the fashion ramp since a long time now. The statement stripes have dominated our wardrobes have dominated our wardrobes for quite some time and they are now back. They can be fused into both your Casual and Formal wears, and can be applied to a variety of garments including shirts, trousers, coats and jackets. However, it is important to know what kind of stripes would suit you. Horizontal stripes make a person look wide and wouldn’t suit a person who’s already wide. On the other hand, Vertical stripes are quite the eye-catcher and help make the person look talk. The look books have also been featuring trendy coats, jackets, denim jeans etc. New trends include some vibrant colours such as Orange, Yellow, and blue as seen at the Paris Fashion Week also. So since the vibrant reds are back in fashion this spring and summer, it would be great to add red coats to your wardrobe. The Reiss Outkast concealer zip coat in red would be a great pick for the season. The Dior Homme Spring Summer Collection has also been a great hit. A bright and bold coloured coat/jacket may add fire to your outfit and could be paired up with stripes or contrasting shirts/khakis. Close behind are also the jumpsuits as seen at Louis Vuitton. The one-piece game is back on. So while you pick out the greys and blacks, the reds too are going to be quite dominant. So even if it may look appealing, it may be a huge risk to experiment with the Jumpsuits as they may not be the perfect one for you. But if you are one great risk taker, you may want to throw in a great scarf or a jacket over it to complete the look. A suggestion for the spring outfit would be to keep the minimal designs but the colour should be bold as spring itself is all about colours. It also looks like that floral shorts, denim jackets and stoles will be the trending items of spring season. For the shorts you could select the cool pastel colours and floral prints that would look pleasing during the warm weather. With the combination of a vibrant shirt would be like a cherry on the top. So now with the Spring Summers Collection in stores, now would be the great time to stock your wardrobe with these amazing latest outfit ideas for men.